In this blog, David Ramsay, Development Worker, Glasgow Homelessness Network, goes into detail about some of the work he carried out to engage people in Glasgow community budgeting events which took place last year. You wouldn't normally expect to combine decision-making about local funding with a full pipe band on Burns night. But when decisions are put in the hands of the community, anything seems possible. 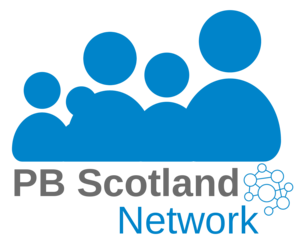 Read PB Scotland's report from the Govan community budgeting event on the 25th January 2017. In January community groups and residents from across the city are being invited to identify projects which can make a real difference to the place they live. As part of the "Your Community" initiative, there is £25,000 available for projects in local communities to improve neighbourhoods. Glasgow Community Planning Partnership has a series of events planned during April which will see £10,000 to be voted on in each Glasgow's 21 Area Partnerships. As part of the approach to community planning Glasgow City Council is rolling out community budgeting to local areas so local people have greater influence over, and input into, how services are developed and delivered.